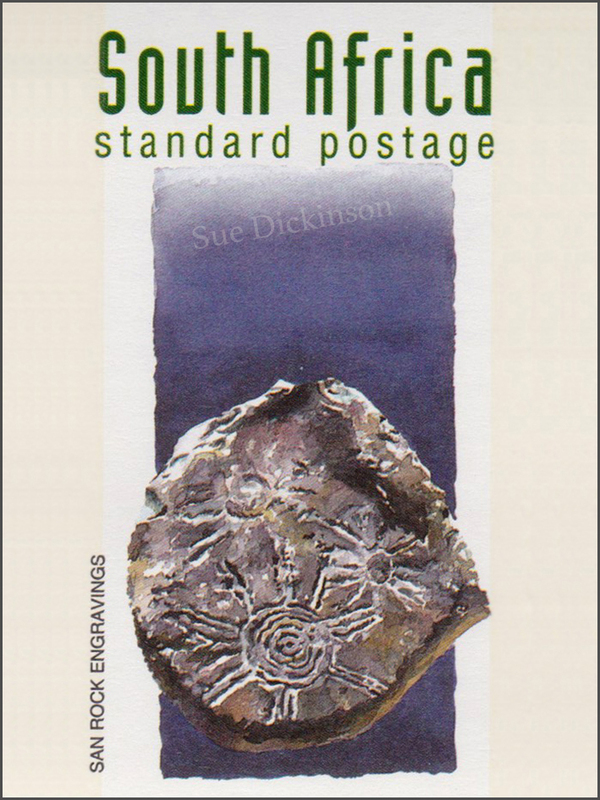 San (or Bushman) hunter-gatherers produced rock engravings throughout the interior of South Africa. Engravings are part of the larger corpus of rock art, and both date from about 20 thousand to a few hundred years ago. San art was essentially religious, portraying symbols of supernatural power and the experiences of shamans – or medicine people. While in trance during a medicine dance, shamans sometimes saw entoptics, geometrical forms caused by the central nervous system. This example shows entoptics commonly called sun bursts.